Looking to get the school year started off on the right foot? 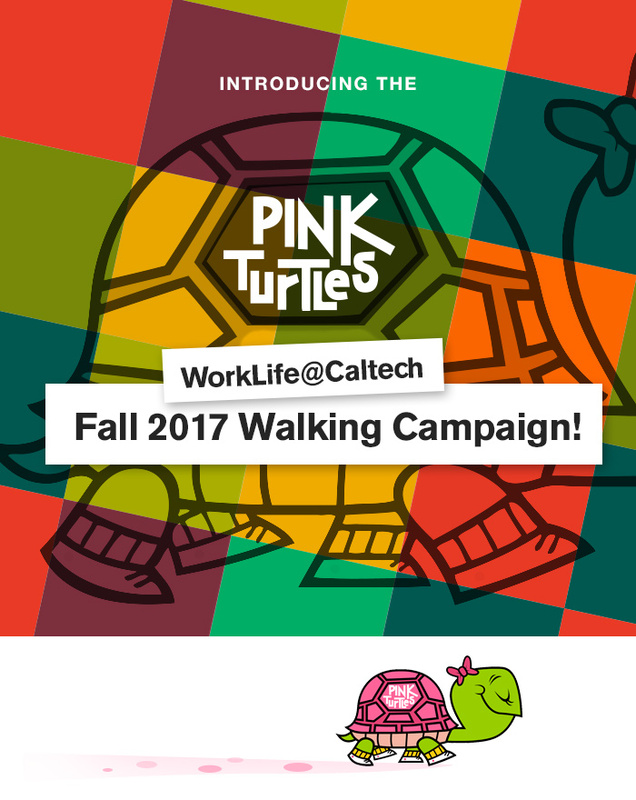 Starting October 3rd, the Pink Turtles and Worklife@Caltech will be hosting a Move with the Pink Turtles walking campaign to help you get moving this Fall. The events are open to everyone willing to get a little more active, so bring a friend or family member! The campaign kicks off on Tuesday, October 3rd at 5:30pm at the Caltech Student Health Center located at 1239 Arden road, building number 8 on Caltech map. Participants will then meet at 5:30pm every following Tuesday and Thursday at the Caltech Student Health Center for a walk hosted by Maria Lopez, founder of The Pink Turtles. The campaign will run until December 7th, 2017.